Alexander Ovechkin and the Washington Capitals won the Stanley Cup. Rebecca Russo and the Metropolitan Riveters captured the Isobel Cup. And Westport’s got Rebecca Russo. 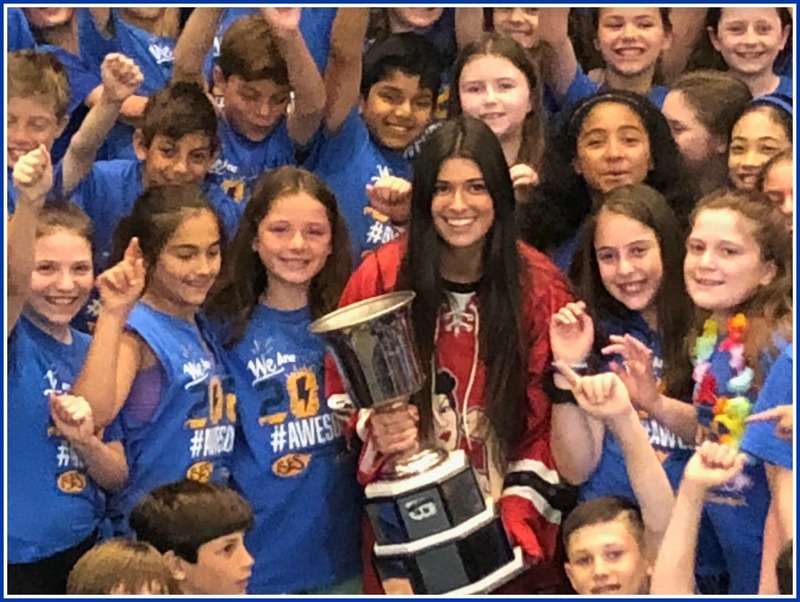 Yesterday, the National Women’s Hockey League champion brought her prize to her alma mater: Saugatuck Elementary School. She held the cup while posing for photos with students — and former teachers like Peter van Euler and Amy Howland. Rebecca Russo, the Isobel Cup, and Saugatuck Elementary School 5th graders. Then she headed off to Bedford Middle School. No word on whether the Riveters are headed to the White House too. Rebecca Russo and her former 5th grade teacher, Peter von Euler. 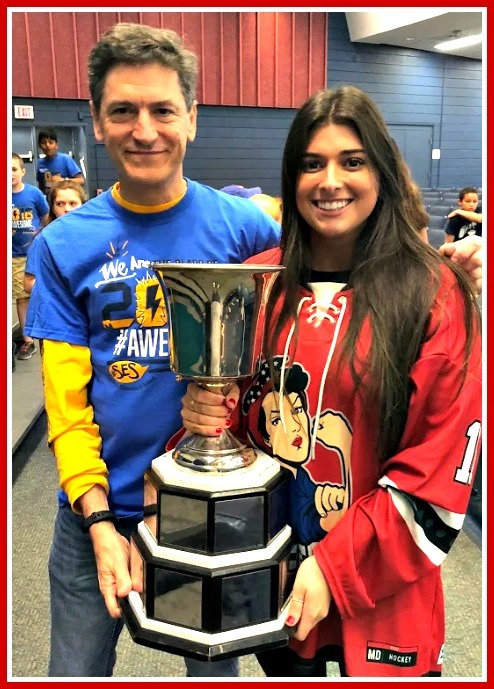 This entry was posted in Children, People, Sports and tagged Amy Howland, Isobel Cup, Metropolitan Riveters, National Women's Hockey League, Peter von Euler, Rebecca Russo, Saugatuck Elementary School. Bookmark the permalink. Fantastic accomplishment and thoughtful for her to remember Westport public schools!